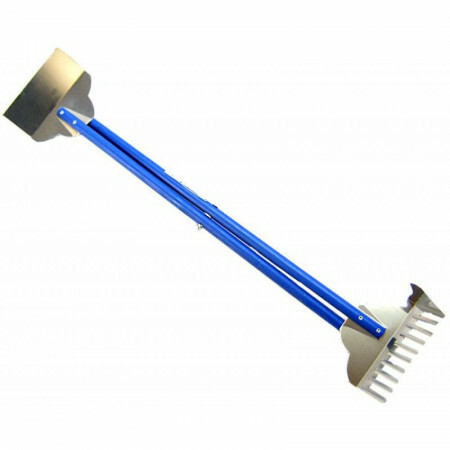 Four Paws Sanitary Rake Scooper removes animal waste around gardens, yards and streets. 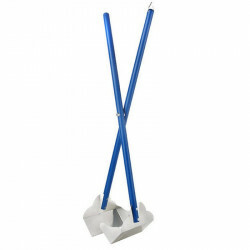 The 7" scoop and rake ends are made of rust resistant aluminum, with painted wooden handles for a natural feel. 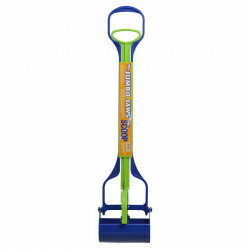 I will only use this pooper scooper as I think the plastic ones make cleaning up the yard harder than it should be. I ordered 2 this time just to make sure I have a back up!! 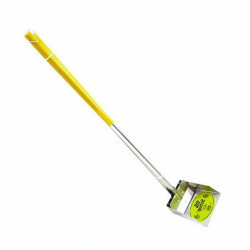 Excellent tool for quick cleanup!! Perfect tool to clean up after both our dogs! Even my son doesn't mind doing the clean up now! We bought this about 2 years ago, we have 2 large dogs, so it has had plenty of use. Decided we could use a new one, so not only did we buy one for ourselves, but we bought one for our granddogs too! Works WAY better than those cheap plastic things you can buy locally. GREAT PRODUCT. 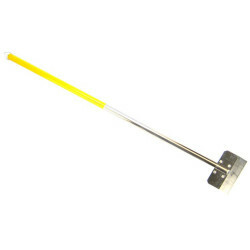 Easy to use, looks like it will last a long time (unlike the cheap plastic jaw/spring picker uppers which break! ).